October 18, 2017 October 31, 2017 by Nils Oudhuis . 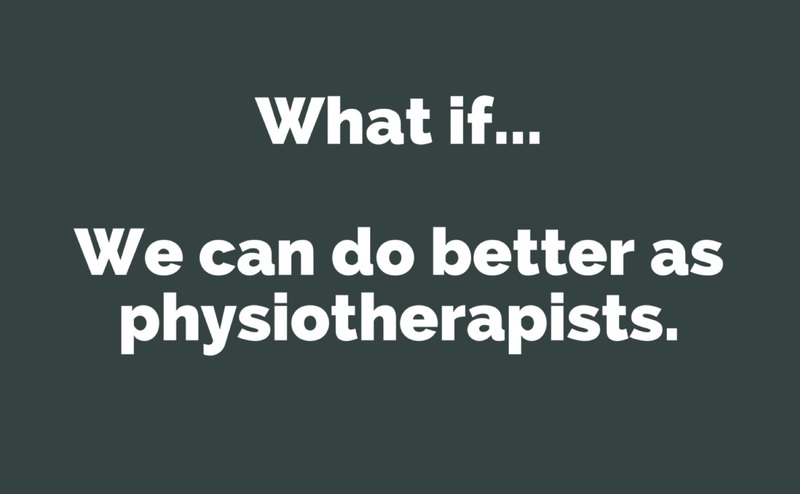 What if people in pain would not come to physiotherapists to be passively treated….that physiotherapists are not only looking for things that are wrong in the human body (“dysfunctions”) and are fearful of movement (don’t bend, because your disc will pop out) and think that the body is vulnerable and fragile. What if we would think about the body as strong and robust, which can adapt to load. What if we would have learned those communication skills, people skills, how to prescribe exercise therapy, how to use clinical reasoning in our practice and how to appraise scientific articles in physiotherapy school. It is easy to treat people with passive modalities… because people expect it and they want it. It is not easy to explain pain through the biopsychosocial model point of view. It is not easy to motivate sedentary people with bad health habits to move more and adopt an healthier lifestyle. It is not easy to be critical of yourself and your beliefs and having to change them from time to time, when the evidence changes. It is not easy to see yourself as a coach, instead of somebody who “fixes” people with your magical hands or skills. It is not easy to listen to the patients’ story and use motivational interviewing techniques. It is not easy to give patients control over their pain and promote self efficacy. It is not easy to not be scared of pain. 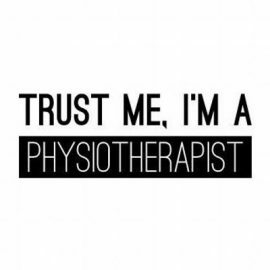 Physiotherapists can do so much better. Thank you for writing this little memo, it is very reflective of how I feel at the moment with our profession. I feel as though I am treading the course least taken and keep being dragged back to the path of least resistance, as there is little guidance and support to keep me on track. Thanks for the “alert” article. Yes, it is so much true and reality what you say., so we all, as physios, be what we have been taught to be and expected to be by patients. However, itbis needed, first, to love what one’s do, and, secondly, take the person in pain as a whole in your treatment plan , not put your entire focus onto an element-trauma, injury or dusfunction. I do that and I feel very much comfortable, grateful and happy having happy and fast-recaverable patients.